Squirrels can be found pretty much anywhere in the world, and there’s a good chance that during your day to day life you’ve come across one or two. 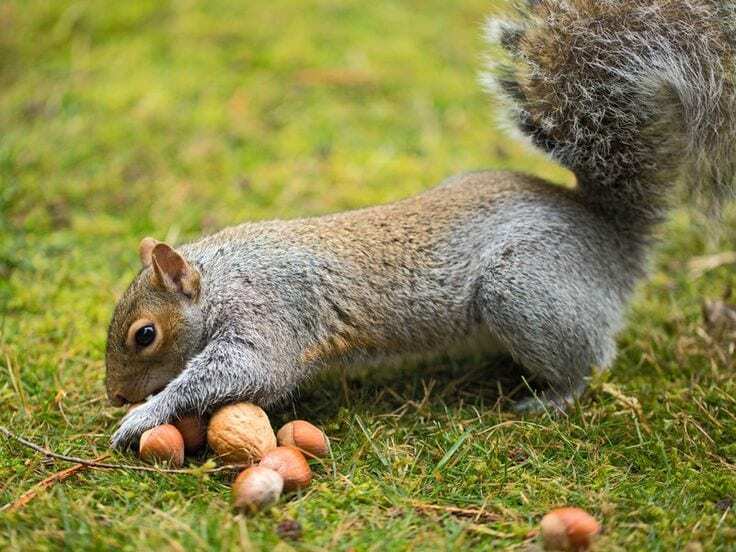 They are always running about the woods gathering up nuts and seeds to store in their food stash, but often they’ll end up getting in our yards in their never-ending quest for food. Even though they gather more than they could ever eat, they don’t stop collecting and are one of nature’s biggest hoarders. There is a cold, hard winter ahead of them, so they need to stock up on the essentials if they are going to make it through. 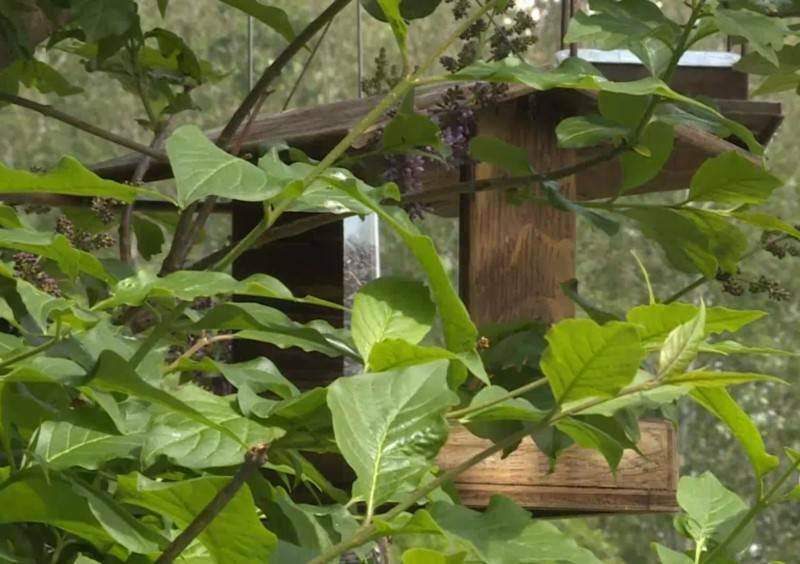 One woman set up a feeder in her yard to encourage wildlife to appear, and when one little squirrel showed up, she knew she must act. Jannet Talbott discovered the squirrel in dire need of help and simply would not stand by and see it suffer any longer. She knew that if she didn’t help it out then the squirrel probably didn’t have long to live. Talbott works on a ranch and cares a great deal about nature and the creatures that live among us, so she got to thinking and figured out a way she could help this little critter. Have you ever stepped in and helped an animal in need? This is what Jannet Talbott did to rescue a poor squirrel. This is Jannet Talbott, a caring woman who lives on a ranch in Canada. 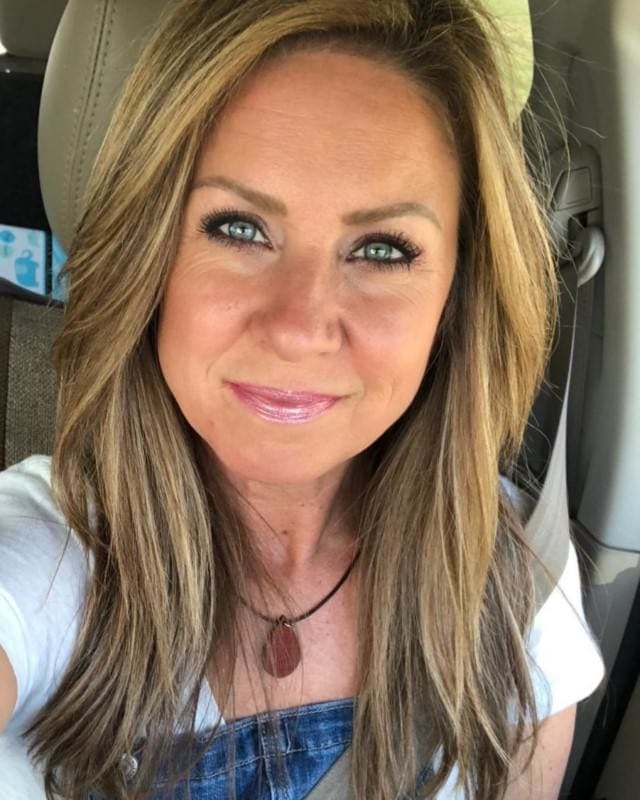 She lives a fulfilling life on the ranch as she gets to immerse herself in nature each and every day, as all she has to do is step outside of her house! Loving nothing more than helping out all kinds of animals, she would often leave out some food for the smaller wildlife that are commonly found in people’s yards, such as birds and squirrels. 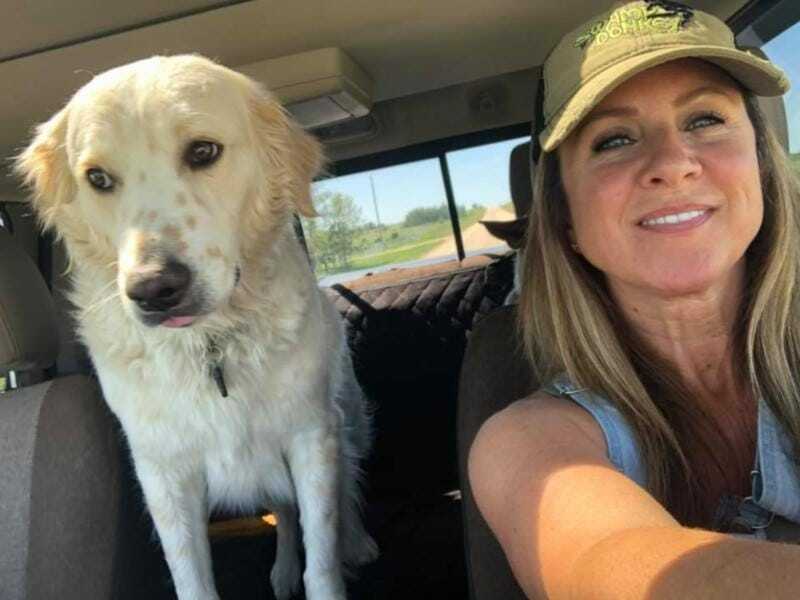 She loves the outdoors, so having the opportunity to both live and work on the ranch known as Double J Freedom Ranch seemed like the perfect opportunity for her. 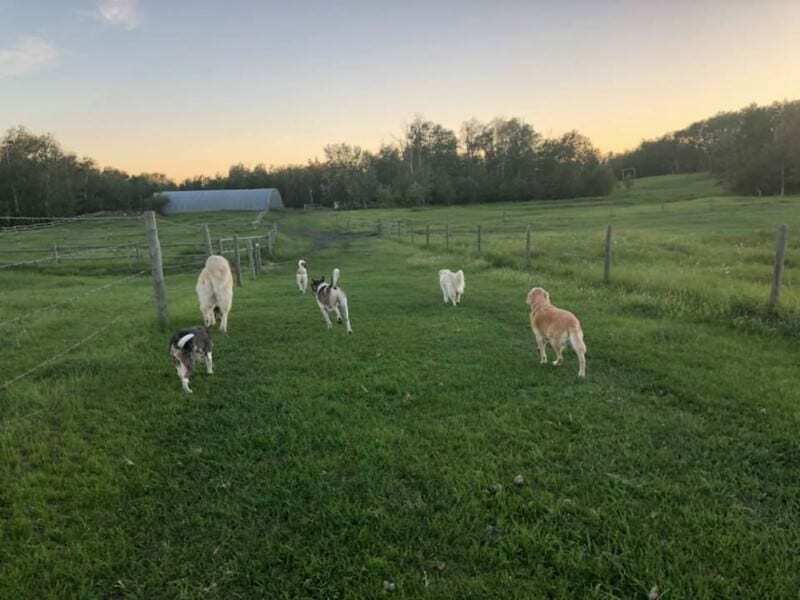 The ranch is based on the outskirts of the city of Alberta, and over the years Talbott has become accustomed to spotting all sorts of different wildlife in her yard and on the ranch. Being a lover of animals, it was always a pleasure when she managed to get a closer look at the creatures roaming around in Alberta. Hoping to encourage plenty of little critters to come along to the ranch, Talbott added a feeder to a nice spot in her yard. She put out plenty of nuts to feed an entire family of squirrels, and a whole ton of bird seed to make sure our winged friends weren’t feeling left out. Almost like a real-life Snow White, Talbott fills her life with as much animal activity as possible and as well as drawing wildlife to her home she keeps her own animals. Talbott absolutely loves dogs and can often be seen with many of her favorites pooches she lives with. 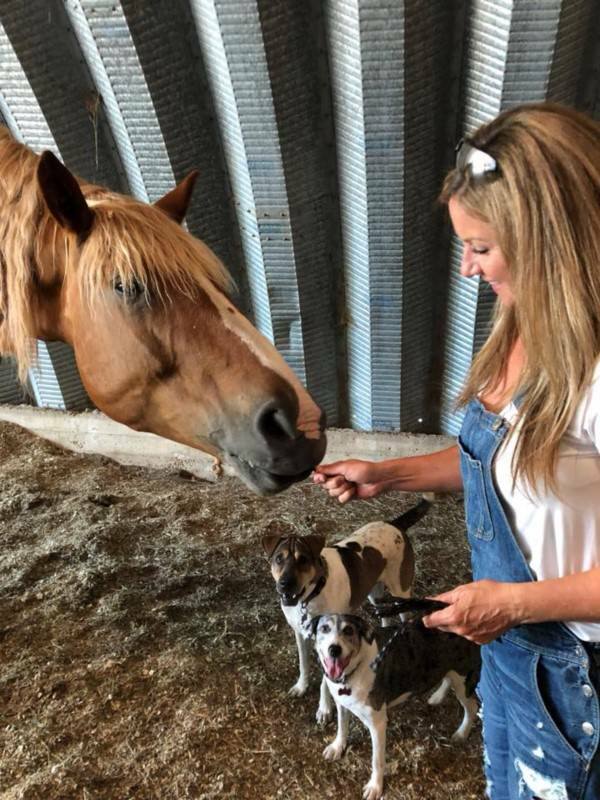 As well as dogs, she also looks after horses, so her days are pretty much filled hanging out with animals. For some people that is the dream and for Talbott she is most definitely getting to live out hers. But such a lover of animals couldn’t look on and do nothing when noticing a distressed little squirrel. Stepping in to help the squirrel wasn’t the first time she’s done something like that. Ever since she was a young girl, Talbott has loved animals. 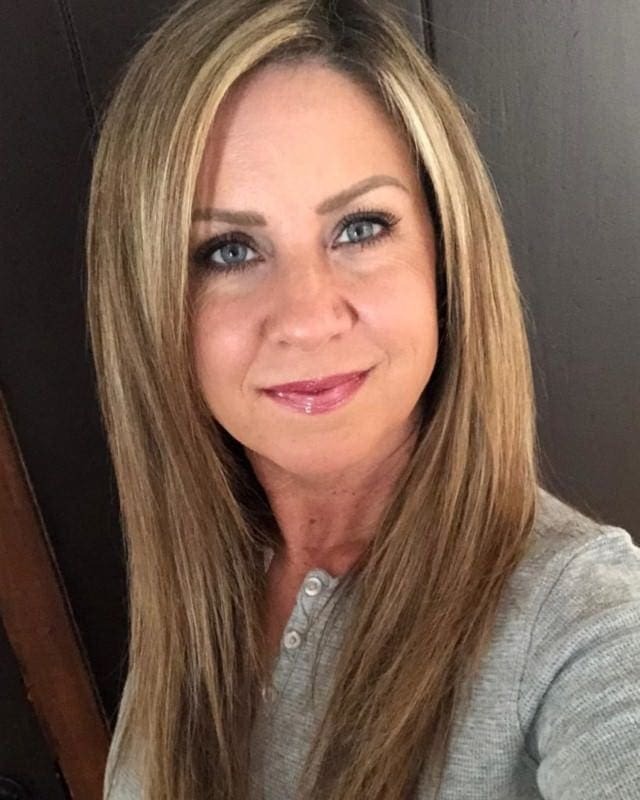 She recalls that she never felt that love diminish and as an adult she has made it her mission to rescue animals that were in need of a bit of love. Several times she has gone all the way to Mexico to try and save many stray and abandoned dogs just crying out for a forever home. Now she has plenty of four-legged friends running around her ranch keeping her and each other company. Although you might think there isn’t much more space for Talbott to look after another animal, that is not how she sees things. She wants to help as many as she can, and it doesn’t matter the size, if she can help she will. As she glanced upon a poor little squirrel in her feeder, she knew that if she didn’t do something her heart was going to break. So, she began devising a plan to help the little guy out. There are millions of squirrels in the world so telling them apart isn’t all that easy. Talbott discovered that she had a brand new visitor to her feeder, however, as the squirrel gathering some of her nuts looked much different to the others she was used to. Normally a squirrel has a bushy tail, is fairly plump and might have a nut or two stuck in its cheeks. The squirrel in her feeder now stood out so much she needed a closer look. 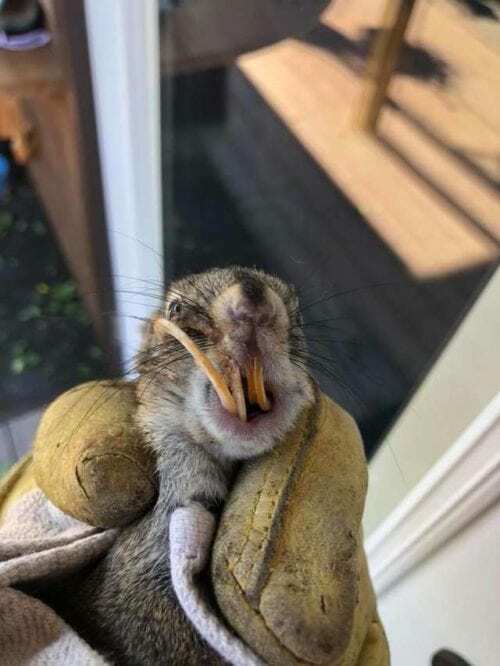 This little guy was what she found in her feeder. It doesn’t look all that different to an ordinary squirrel at first glance… However, it is a little thinner than usual, and then there’s that great big tooth hanging from its face! 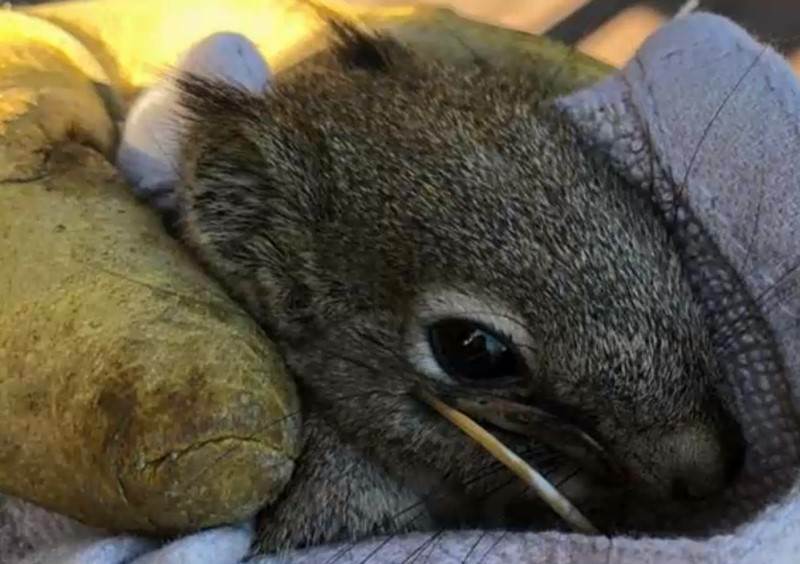 This squirrel’s tooth had grown so much it was no longer able to file it down which posed a big problem. If this squirrel was left like this then before long it wouldn’t be able to eat properly. Talbott noticed the huge tooth coming from this squirrel’s mouth and knew instantly that she needed to step in and help it somehow. The tooth had curled around so much that it was dangerously close to poking the squirrel’s eye. After realizing how much discomfort this animal could be in, she began thinking how she could help it before it ran away and she might never see it again. Luckily for the squirrel, Talbott loves animals a lot, and she was going to do her best to fix the squirrel. It wasn’t just the one tooth that had overgrown though and actually all of the upper and lower teeth had overgrown too. They were so far curled that they were actually growing right back into the squirrel’s mouth. There was no way that it could eat properly and it must have struggled finding room in its mouth to store any nuts. Talbott realized this squirrel looked so thin because it just couldn’t eat much at all. Deciding to step in and help this squirrel, she began to do some research into how she could help out this unfortunate rodent. Just how could she tackle the mess that was its mouth? Her initial research led her to understand that squirrel’s teeth continually grow and at some stage, this squirrel’s teeth grew so long that it could no longer file them down. They are normally worn down when they eat, but this squirrel was now in trouble as its teeth were too big for its mouth. Even though its teeth had overgrown, Talbott was aware that under stress this squirrel might still be able to do her some damage. She had to find some thick gloves to ensure that if she were to get bitten, the gloves would bear the brunt of the damage. 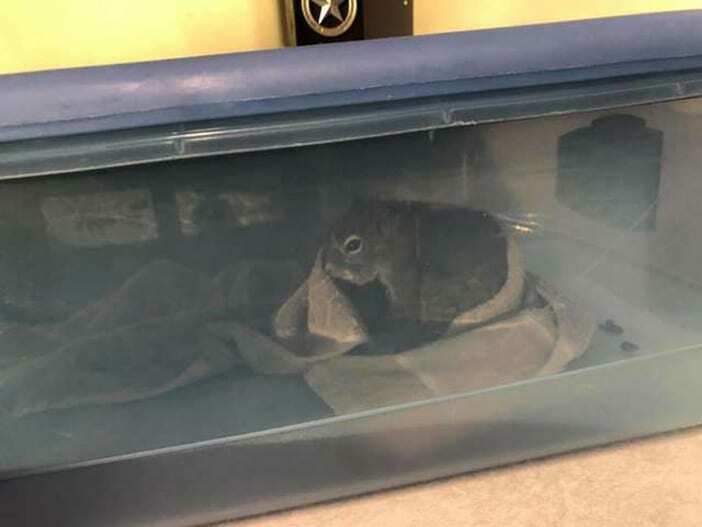 The squirrel might have felt like she needn’t have bothered because if it was able to bite her, then it probably wouldn’t have gotten itself into this situation in the first place. The time had come, Talbott needed to catch this squirrel if she was going to be able to keep a hold of it and be able to fix it. 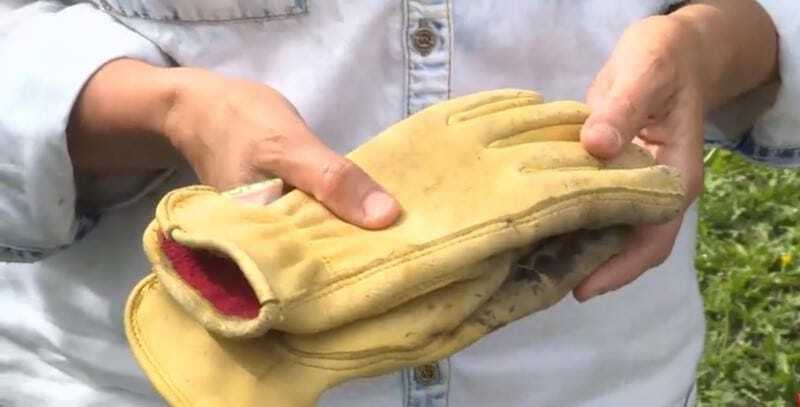 With her gloves placed on her hands, she stepped in to grab hold of this unfortunate guy. If she wasn’t able to fix it there was a very real danger it would starve. After her crash course in rodent dentistry, she felt confident enough to tackle the procedure. Talbott was determined to make a success of the rescue mission, and after watching numerous videos, she had enough confidence that she could do it. 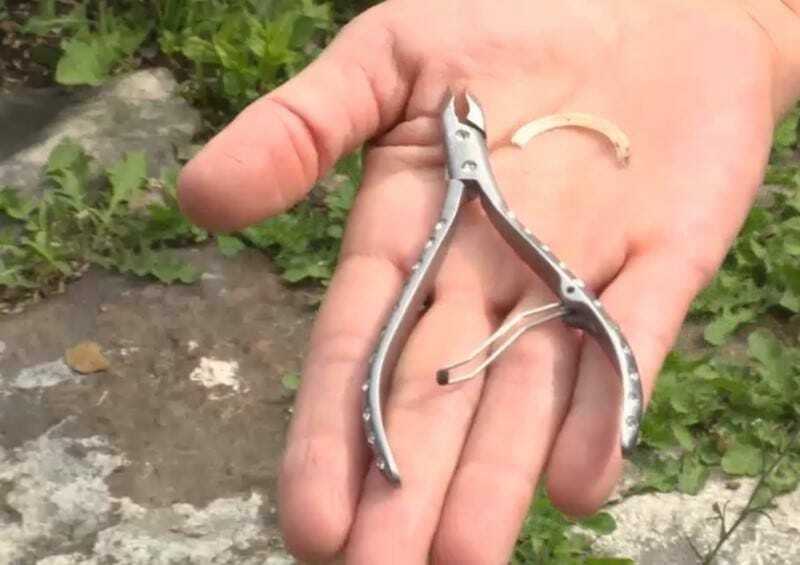 It was a surprisingly easy little snip of the teeth, and within moments the little squirrel had a nice new smile. 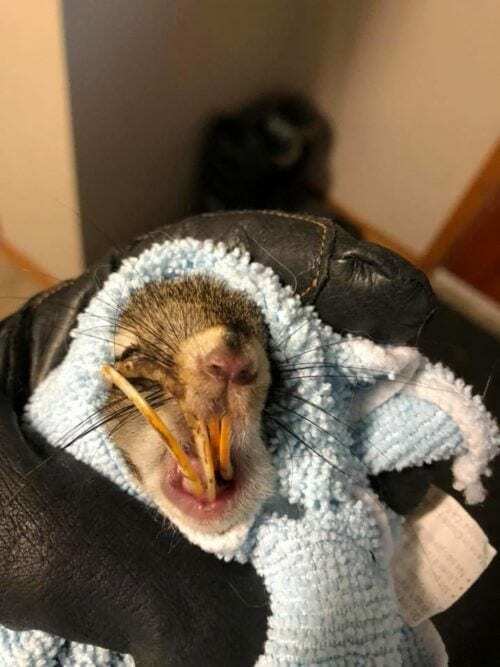 She wrapped it up in a towel to make sure it didn’t move or see what she was doing, but seemingly sensing she was helping it, the squirrel barely moved an inch. 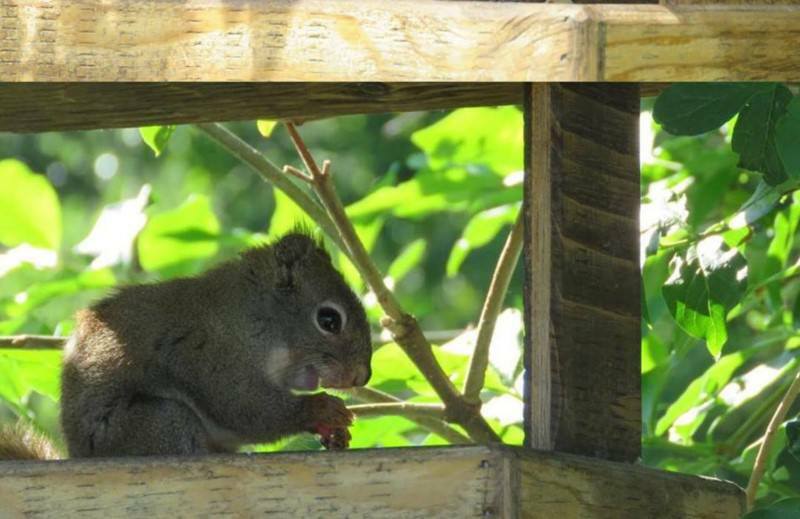 After a brief little stopover in the squirrel hospital, Talbott was able to release him back out into the wild, but not before he stopped off one more time at her stash of food and nuts. 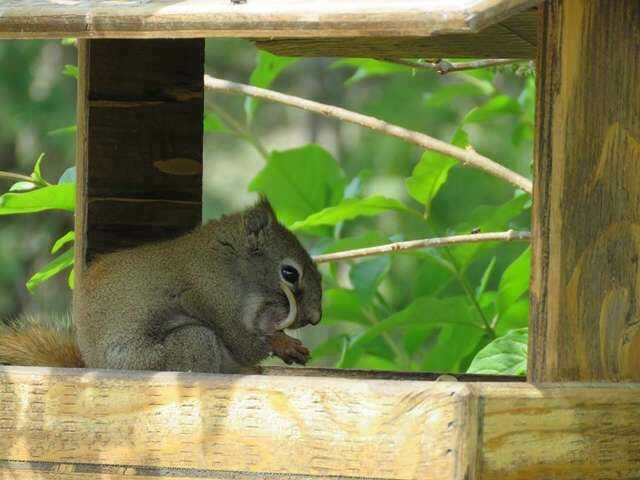 This squirrel now had a new lease of life, and it was determined to do what squirrels do best, eat and store nuts. No longer restricted by his huge teeth the squirrel soon got acquainted with its favorite food before going on its way. The procedure only took around ten minutes to complete thanks to the handy clippers Talbott used on the squirrel. She believed it was a good patient and knew that she was there to help so it didn’t squirm or wriggle around too much. Thanks to the bonding experience, Talbott decided she would give the squirrel a name. Discovering it was a boy she decided it ought to be called Bucky due to his unfortunate set of teeth. Following his quick cosmetic surgery, Bucky was looking much better than before. He stayed in Talbott’s home for a short time until he showed signs of having his energy back. With his new teeth, he was ushered out to Talbott’s backyard and while he was in the feeding box decided to rub his face against the tree. He now understood that he no longer had the huge tooth sticking out of his face which meant he was back to his handsome best! Freed of his dental woes, Bucky didn’t waste much time tucking into the tasty treats left out for him by Talbott. 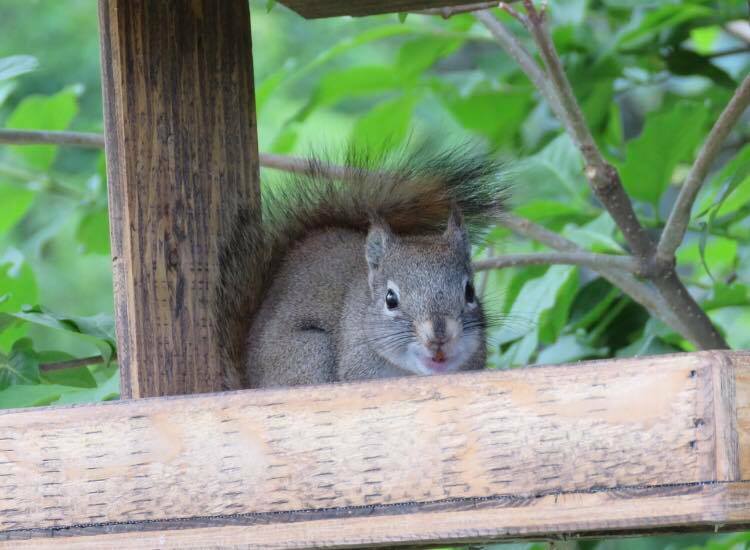 Talbott has told reporters that she occasionally spots Bucky in her feeder and confirms that nuts are very much back on the menu for him. It’s a great turnaround for a poor little squirrel that could barely manage to eat a thing. Now he can gather all the nuts his secret little stash can hold! While no one knows for sure where Bucky will head off to on his latest adventure, there is one thing about him, and other squirrels, that we do know. 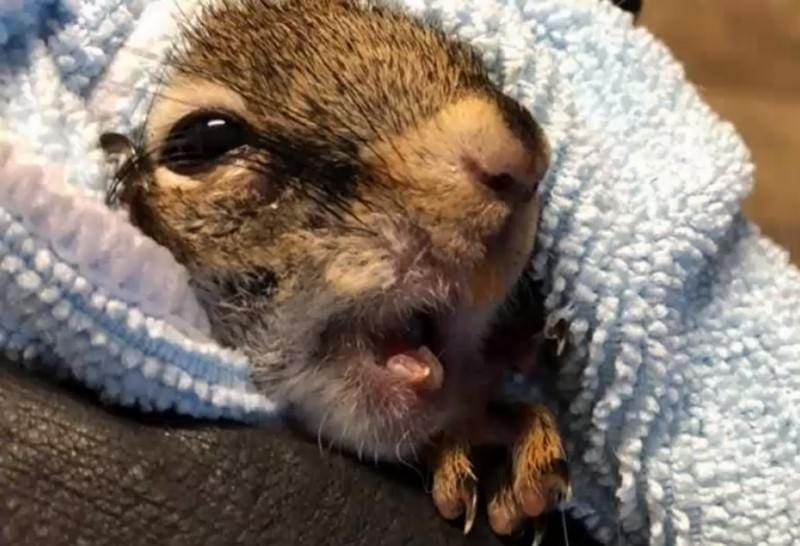 Bucky’s teeth will continue to grow, so hopefully he manages to file them down in time, otherwise he’ll have to swing by the squirrel hospital to get his teeth chopped once again by Talbott. Although hoping to avoid needing to intervene, Talbott has said that she would be more than happy to help Bucky once again if he needs it. Talbott’s love of animals has only grown stronger since her interaction with Bucky. She told reporters that we share this planet with animals and feels as though it’s important that we all try and show compassion to them when possible. Talbott hopes that her story can help inspire others to support animals in need of their help, rather than just turning a blind eye to them. She added that if people are inspired to help through her actions, then that really is a dream come true for her.